The stage looks set this weekend for the capable stayer Nymph Monte to return to his best form. The Tavistock six-year-old races well at Hastings where he will attempt to bag the second black type win of his career in Saturday’s Listed Royston Hospital Hawke’s Bay Cup (2200m). Trainer Grant Nicholson believes Nymph Monte, whose record features a victory in the Listed Metropolitan Trophy Handicap (2500m) at Riccarton, will strip at peak fitness for the feature. “I’m very happy with him and that last run has topped him off nicely,” part-owner and trainer Grant Nicholson said. Off the back of a trial win, Nymph Monte finished sixth at his most recent appearance in the Gr.2 Awapuni Gold Cup (2000m). 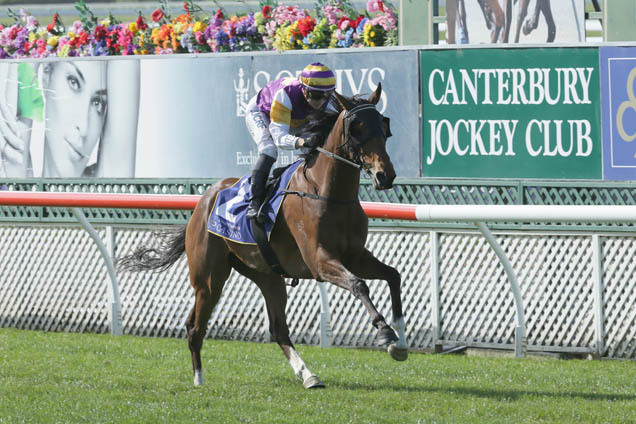 Past visits to Hawke’s Bay have rewarded Nymph Monte with a pair of middle distance victories. “He always seems to go well there and a little bit of moisture will help him, he likes to get his toe in the ground these days,” Nicholson said. Nymph Monte’s half-brother Artaxerxes will also be in action at the meeting, resuming in the Stella Artois Mile (1600m). Artaxerxes has been patiently handled and has a win and a couple of placings from seven appearances.